Hey there, i've been following this project for 1 year now and i am incredibly exctited abouts it's progress so far. being a great fan of the game noctis i am really looking forward to space engine's exploration focus. I'd think it would add a lot to space engines's exploration joys if some sort "procedural" color ranges would have been implemented. with procedural colors i mean ground colors, atmosphere colors, plant colors within predefined tolerances but kind of randomized. so on one terra the atmosphere might be the same like on earth, but on another terra it would be slightly more blueish, or more greenish. same thing with ground textures. 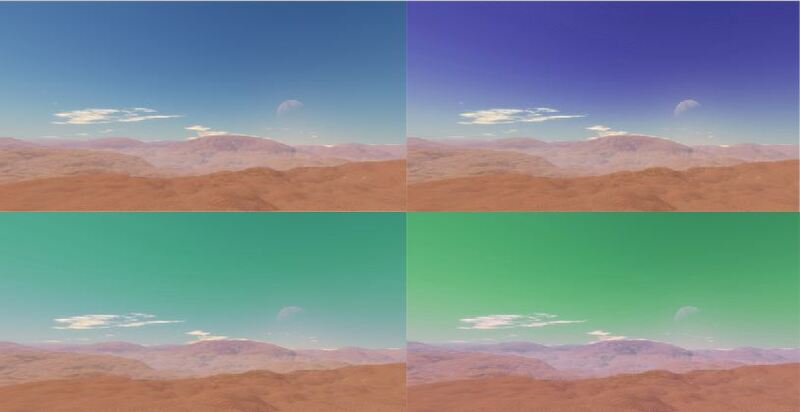 This would really make each planet appear more unique in an extended way. This idea, I like it. 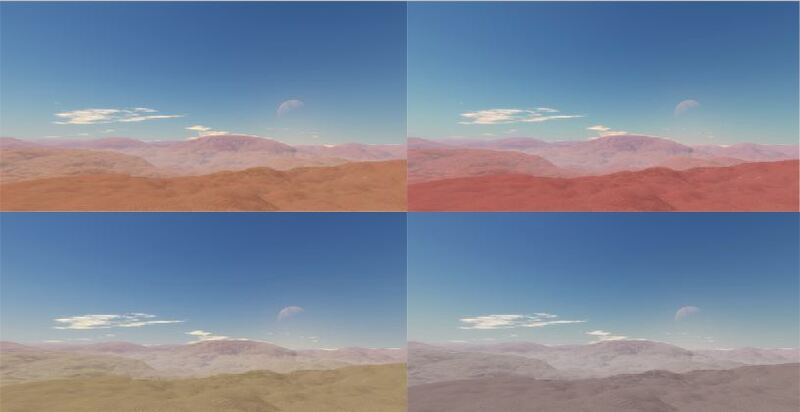 Ground textures already have color adjustment on generation - compare colors on the planet with colors in texture atlas (data\textures\common\pack_desert.png and pack_terra.png). I tried to change color of atmosphere in similar way, but it makes a lot of artifacts and reduces performance a bit. Maybe in next version I debug this feature. Maybe in some next version I debug this feature.